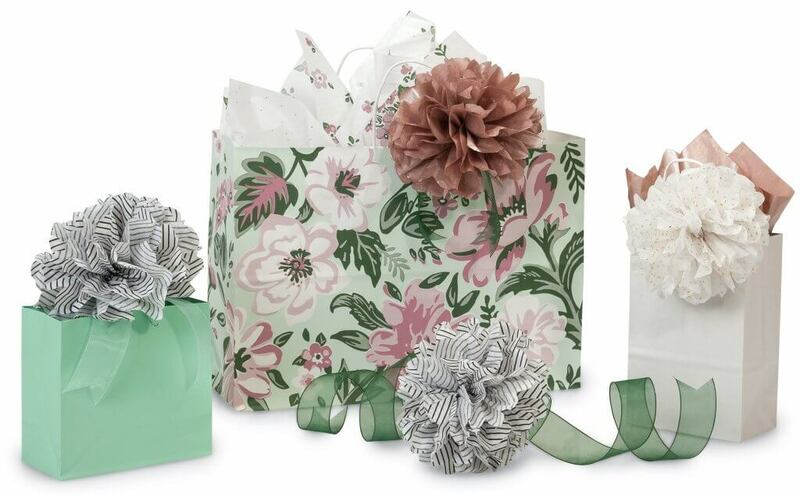 Create some of these adorable mini Tissue Pom Flowers to dress up your Mother’s Day packaging! They’re simple to make, and they offer a truly eye-catching alternative to a ribbon bow. Or, create lots of them to make a space look extra festive for an event! If you’ve already followed our how-to for making big, beautiful Tissue Pom Poms for events, you know how easy they are to make. These mini Poms are even quicker to create – it takes just one piece of tissue – and they are just the perfect petite size to perk up your packaging. See How Easy It Is to Make Your Own Mini Tissue Poms! Watch the video below for the step-by-step instructions for making your own mini Tissue Poms. When you’re choosing your tissue, don’t be afraid to play with different colors and prints. I found that the smaller, more delicate prints seemed to work especially well. 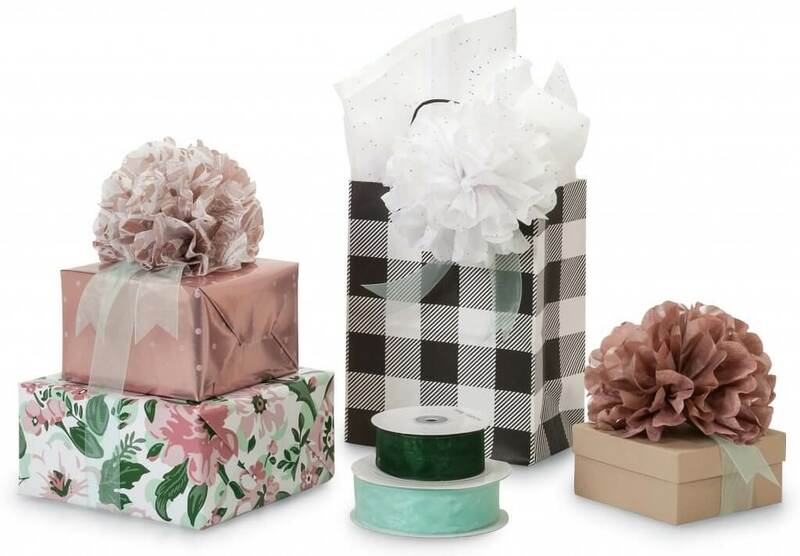 You’ll find everything you need to create Mini Tissue Poms at NashvilleWraps.com, where you can shop our wide selection of printed and solid color tissue, ribbons, shopping bags, boxes, and so much more! Please let us know in the comments what you plan to do with your Mini Tissue Poms! I hope you have fun making them.